ab [intra] is the new work by Artistic Director Rafael Bonachela, opening Sydney Dance Company‘s 2019 season. From Sydney the production will tour nationally. From the moment the curtain lifted, the authentic and creative essence resonated through to engage the audience. The clean and simplistic set up with very minimal staging requirements, in having no wings or cyclorama and a bare staging effect, allowed for an engaging and enhancing opening towards the mesmerising dancers. Clean lines and minimalistic lighting again enhanced the staging environment and also complimented the choreography and musical selections. 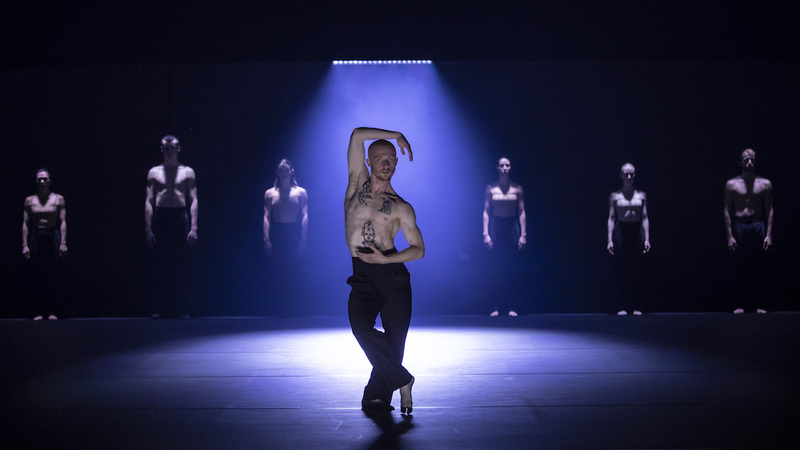 The lighting design by Damien Cooper compliments and enhances the depths and layers of the stunning choreography by Artistic Director Rafael Bonachela in collaboration with the dancers of the Sydney Dance Company. The company members deliver a truly engaging and emotional performance showcasing their technical brilliance and strength as they interpret the choreography with a stunning sense of ease and sheer beauty. The lines and fluidity of movement is both mesmerising and touching. The build up and alluring journey enhanced with the talents of musical composer Nick Wales, with all-original music, and additional music contributed by Peteris Vasks, compliments and connects the overall production and costume design by David Fleishcher. The performance goes for approximately 70 minutes with no interval. A little long with a similar theme throughout the performance, yet a true testament of the incredible company dancers’ athleticism and fitness, technical ability, professionalism and effortless performance. Sydney Dance Company continues to remain a leading force in contemporary dance, and ab [intra] is a definite must see and beautiful, inspiring insight to the magical world of dance and creative masterpiece.